Had tiem and just curious to see where my 5k power would fall. 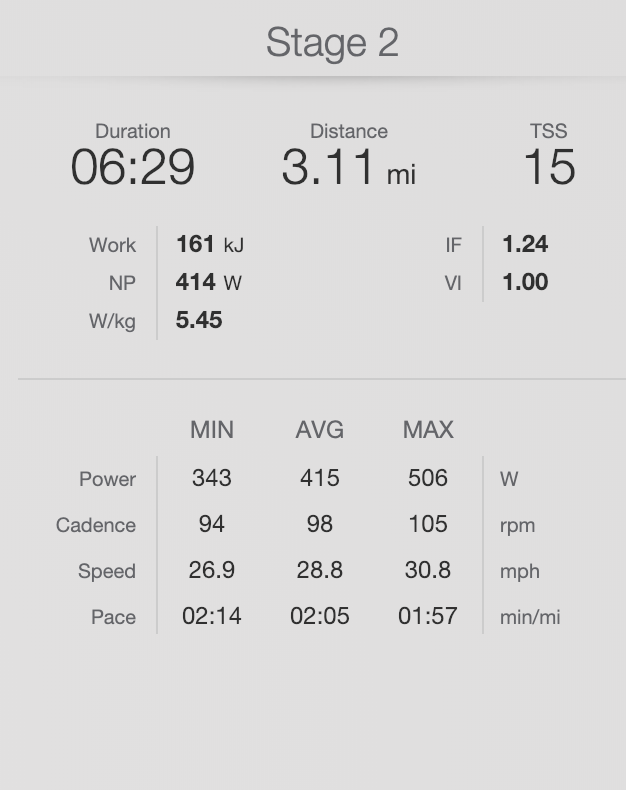 415 average at 98 rpms, 6:29. All would be close to my best outdoor efforts. With no turns and some Van Halen, this was as hoped.